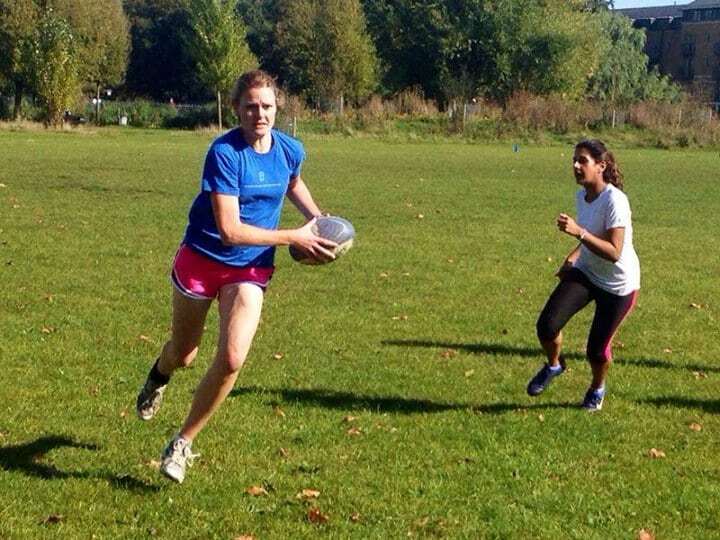 If you and your friends are looking for athletic activities to participate in during the autumn season then why not try out the various games of Touch. There are indoor and outdoor leagues available and you can join as an individual or as a team. It’s also a fantastic socialising event and a great opportunity to meet new people. The Late Autumn Touch League is played at Clapham Common near the Clapham South Tube Station and is one of the most popular venues in London. The league uses a standard format of touch with 40 minute games where teams will play each team in their division and then go into Semi Finals and Finals over a six week period. There will be grading games in the first week of playoffs, depending on numbers to determine which divisions the teams will be placed in for the season. We do offer places in a team of individuals or even in existing teams that need numbers if you don’t have a full team to register yourself. If you don’t have a team you need to send Tracy an email at [email protected] and she can place you into a team/division of your choice. We’re encouraging everyone to get out there and get involved in this friendly team sport where you can test your skills on the court and thereafter hang out with your fellow sportsman, friends and family. If you don’t want to spend your Sunday’s playing touch then we do have new Active Touch Leagues coming up during the week. Come and see what the fuss is about. Active Touch is played with four players on the court, with at least two females on the court at any one time and you can have up to 10 players in your team. An awesome game incorporating elements of touch, netball, ultimate Frisbee and basketball, once you have played one game, we know you will be hooked. The first weeks’ game will be a get to know it session for beginners and intermediates alike, where you will learn more about the game and how to play it, with league games starting from the second week. Canary Wharf on Mondays & Wandsworth on Tuesdays & Thursdays. Mondays start on the 3 November, Tuesday starts on the 28 October & Thursday starts on the 30 October. Mondays (19:00 on wards), Tuesdays & Thursdays (18:30 – 19:30). Games are 30 minutes long.